A fun website that could be used to encourage your child to speak Mandarin at home is called Voki. It is a free website with the option to pay for a premium account to unlock more features and more character embellishments. One way that your child could utilize this website would be to listen to our classroom Voki for our weekly lesson and then create one of their own. Your child will enjoy customizing their avatar to look silly – remember that some of the embellishments are for paid accounts only. 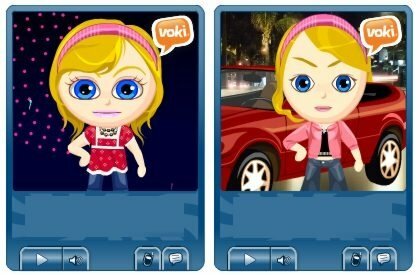 If your child wishes, their Voki link can be e-mailed to me and I can feature your child on our classroom website and possibly in the classroom. Another way that you could utilize Voki would be to set up a “pen pal” with another Mandarin speaking student and have them create dialogue that they are recording to send to each other. As always, please monitor your child’s internet and computer usage. You can view an example of a Voki we made as a class here.